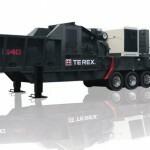 The TBG640 is a high-speed horizontal grinder designed for maximum production output and minimum operator downtime. 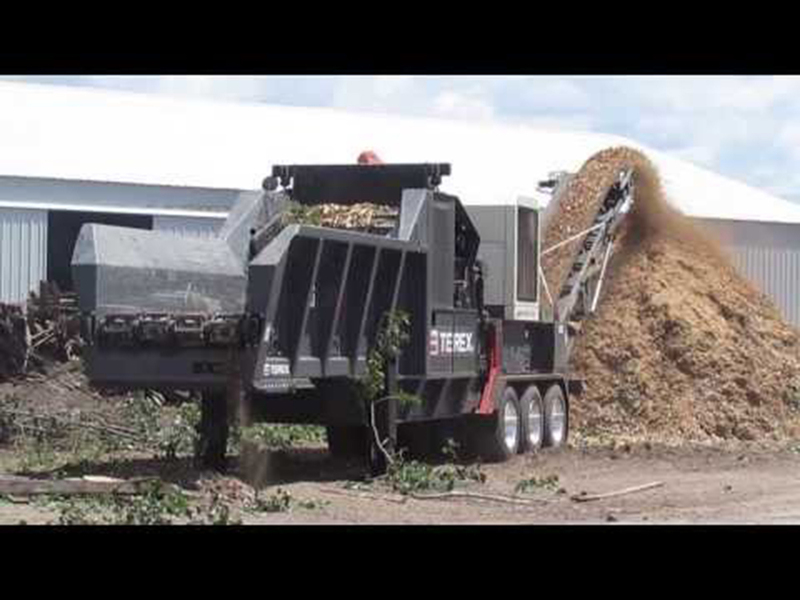 It processes applications such as tree stumps, green waste, wood waste, logs, land clearing debris and C&D waste with a strong tolerance for high contamination. The TBG 640 horizontal grinder is designed for both primary grinding and regrinding duties and is operated by simple and intelligent control systems to ensure full operator control. 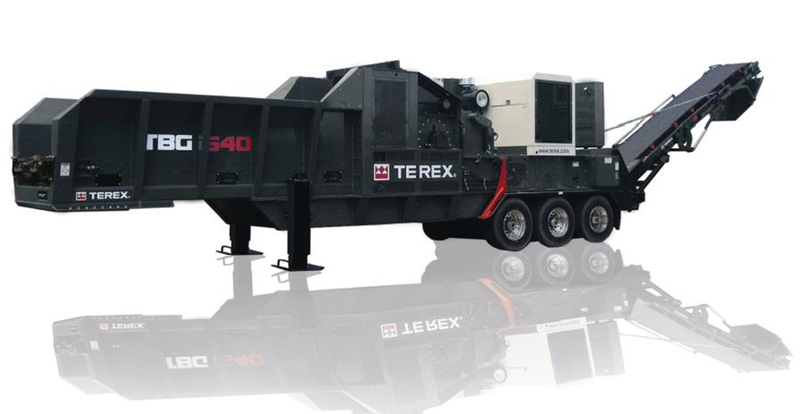 Available as a tracked or wheeled model, the grinder features a 41” high x 63” wide (1,041 mm x 1,600 mm) infeed opening and a 40” diameter x 189” length (1,016 mm x 4800 mm) feed roll. With convenient service access, the machine operator can conduct routine machine maintenance at a moment’s notice. Powered by either a 755 hp or 765 hp Caterpillar diesel engine, the TBG640’s advanced engine load management system maximizes production and fuel usage. 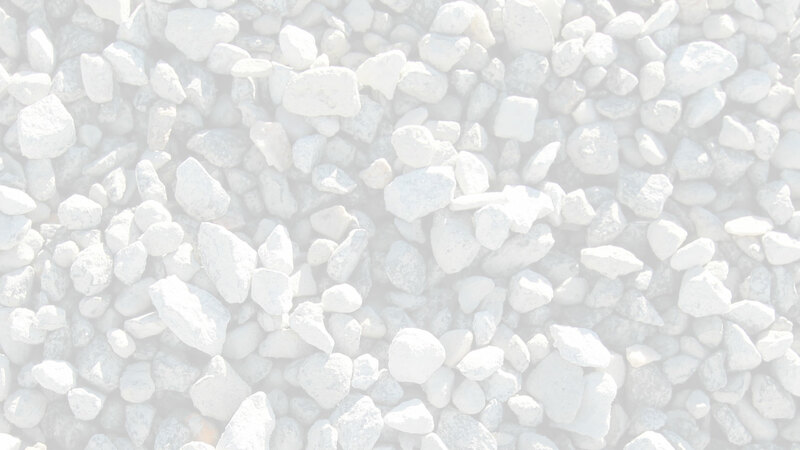 Options for grinding inserts vary for the TBG640, thus leading to diverse end product possibilities. Its standard insert is ideal for material such as logs, land clearing debris, C&D waste, green waste and recycling material and features tungsten-carbide hard-faced edges. The knife edge insert is similar to the aforementioned standard insert, although it is designed with a sharper hard-faced edge to the tip for improved cutting. 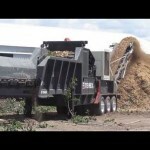 The high-tolerance knife edge processes logs, land clearing, C&D waste, green waste and recycling material. 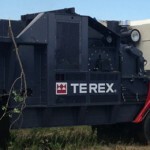 As for the third option, the ripper, it is best utilized for large clean material and land clearing feedstock. To protect the grinder from material contamination during operation, the grate retention’s hydraulic pressure is monitored. When contaminants are detected, the retention releases, which allows the grate to fall away. When a release has occurred the following happens, the clutch disengages, infeed reverses, engine idles down and the hydraulic cylinder is used to reposition the grate.